Charles Darrow sold Monopoly to Parker Bros. in the 1930s. Stop. Do not pass go. Do not collect $200 because we've got quite a story for you to listen to about a certain board game - Monopoly. It can be pretty addictive once you start playing it, right? Well, it turns out finding the true origins of the game is even more addictive. It's consumed author and journalist Mary Pilon, who has a new book out called "The Monopolists." She describes the history of the game as we've known it. It was the Great Depression. A salesman named Charles Darrow was out of work, desperate to support his family. And his dark, damp basement, he toiled and tinkered with a board game, inventing what would become an American icon. MARY PILON: I think the Darrow story, from a publicity standpoint, is a beautiful story. Who doesn't want to believe that they can go into their basement in one of the nation's darkest hours and create something that will change, you know, their own fate and make everybody rich and make you beloved? I mean, I think that's a great story. I can't even tell you how many times in the last few years people say, oh, right, you're doing a book about Monopoly. It was invented in the Great Depression, right? I mean, this thing has stuck like nobody's business. And I actually think the true story's more interesting. GREENE: The true story of Monopoly begins long before Charles Darrow rolled the dice - a few decades, actually - with a woman named Lizzie Magie, who lived in Washington, D.C. and patented something called The Landlord's Game, which was, in some great irony, an argument against the concentration of wealth. 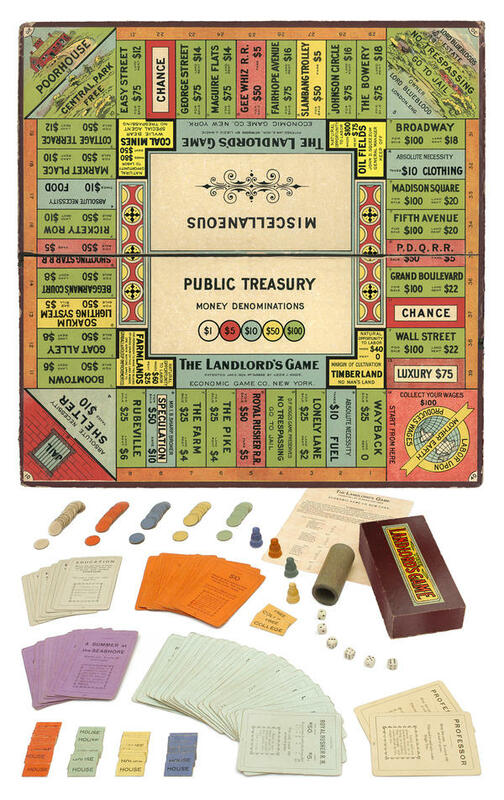 Her game, though, had an incredible resemblance to modern-day Monopoly. PILON: So Lizzie Magie was a pretty astonishing woman. She was an outspoken feminist. She had acted. She'd done some performing. She had written some poetry. And she was a game designer. 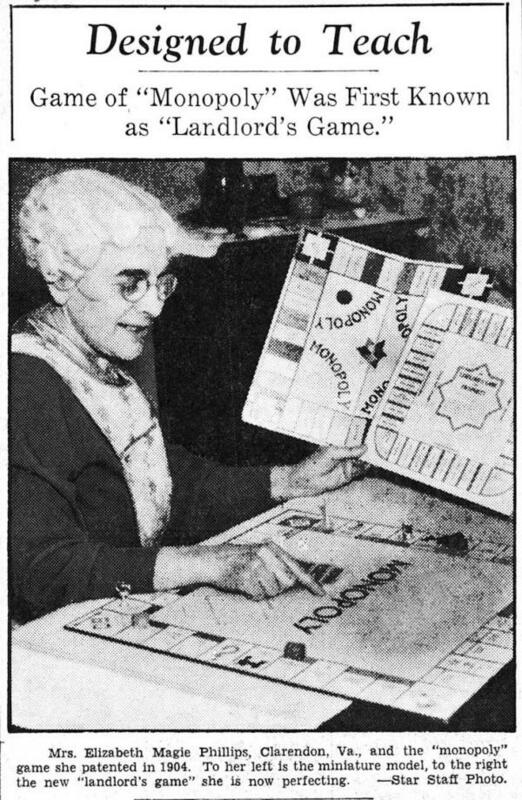 And at the time that she patented her game, it was before women had the right to vote. And I was very surprised. I thought, you know, female game designers - they're getting more traction today. But it's still unusual. And at the time she put her patent application in, fewer than 1 percent of patents in the United States came from women. GREENE: But Lizzie was a rare case. She got the patent, and her game began to spread around the country, including to the Quakers of Atlantic City, N.J., who added all the Atlantic City street names - Atlantic Avenue, Kentucky Avenue, Park Place. It was through a Quaker friend that Charles Darrow got his hands on the game board and sold it as his own to Parker Brothers. The company, like much of America, went with the tale of this down-on-his-luck Depression-era salesman. PILON: I think there's something about us psychologically that just makes us really wired to loving the Darrow story. GREENE: Well Mary, tell me about this very important lawsuit. 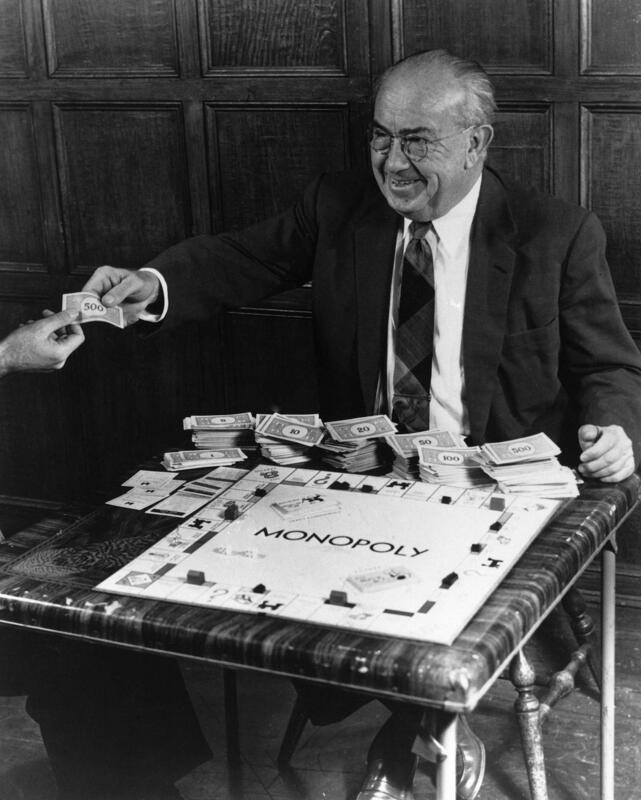 It was an economics professor from California named Ralph Anspach who spent years in a legal battle with Parker Brothers over Monopoly. PILON: Sure. So in the early 1970s, Ralph Anspach, who was a professor at San Francisco State University - he was living in Berkeley. He had two young boys. And he had played Monopoly, of course, and thought that the world needed a more philosophically pleasing version of the game. He felt like Monopoly the game was teaching people things that were bad in real life. And at the time, the the OPEC oil cartels were really big news. There was a lot of cynicism because of Watergate. So he creates this game called Anti-Monopoly. And it isn't long before he hears from Parker Brothers' lawyers, who said, you know, you need to stop making this game. GREENE: You can't do that. PILON: Yeah. You can't make Anti-Monopoly. And that kicks off a legal battle that ends up going on for 10 years. And in the course of that argument, which is, you know, whether Monopoly and Anti-Monopoly could be confused - and they'd rip apart trademark law and copyright law and all these other things as it winds through the court system. Ralph finds out about Lizzie, and he gets all these documents. He starts traveling around the country, interviewing the Quakers and some of the early players. He starts finding these pre-Parker Brothers boards. And he becomes a detective, trying to unravel the true story of Monopoly - and some of his fate hinging on that story and that the game had this whole life before Parker Brothers entered the picture. GREENE: And there's a sad part of this story - I mean, his obsession with sort of this battle. I mean, you could argue, it sounds like, it leads to breaking up his marriage. His wife had multiple sclerosis through a lot of this. I mean, this was hard for him. PILON: Yeah. So and I think that it's also, to me, a great example of when I was going through his archives, the depositions, his notes - he didn't know what the outcome was going to be, of course. This was playing out in real-time. You know, here here in hindsight, we know he ends up victorious. And there's like a David versus Goliath aspect to the whole story. And at one point, he was offered a pretty generous settlement. And one of the pieces of the settlement was that he wouldn't be able to talk about the case. And he turned it down. I interviewed his sons for the book, and one of them actually ended up becoming a lawyer. And they're both involved with Anti-Monopoly still today. And they talk about that as, like, a very big moment. They remember as kids having this household discussion about this lawsuit, which had just taken over everything. So it was definitely a crusade for him and his family. PILON: God, this is so embarrassing (laughter). GREENE: ...Had nightmares about the various aspects of the story. You got obsessed, too. 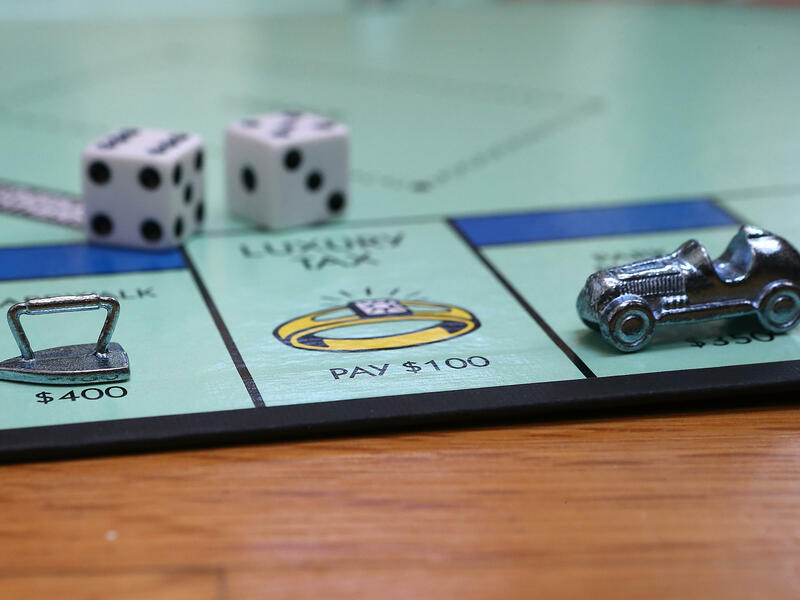 What is it about Monopoly and its story? PILON: That is a fair, fair question. I think that my main businesses is as a newsperson. And I think that with - especially like Wall Street, with politics, with foreign affairs - the job is to get it right. And I remember often when you tell people you're doing a book about board games, they think you're totally nuts. And that might be warranted. But I feel like if we can't get the story of Monopoly right, like, what hope is there for anything else? These things that we think are simple are very complicated, and I think that taking that apart was very interesting to me. GREENE: What has kept Monopoly so popular for so many years? PILON: Monopoly, specifically - I think now it's so wrapped up in nostalgia for people. I mean, one of my favorite debates to have is with game designers who say, you know, the game stinks and here's why. I think they bring up valid points, but I feel like that's, like, critiquing the Model T for not being a good car. It's like, well, it was good for what it was. But it was also created a century ago. And I think that, you know, we could appreciate it for what it was. But, like, I love Settlers of Catan. Like, we can have multiple games. That's OK. And I think that when you talk to people about Monopoly, they love talking about their memories associated with it. And for me, I'm the same way. I mean, when I think Monopoly, I think of my family playing at the holidays. And so I think now people have projected so much of their own memories and moments onto it that that will keep it going for a long time because it's just this multi-generational thing that everybody can share. GREENE: Mary, thank you so much for coming in and talking about Monopoly and the book. We really appreciate it. PILON: Thanks so much for having me. GREENE: Mary Pilon's book - it's out now. 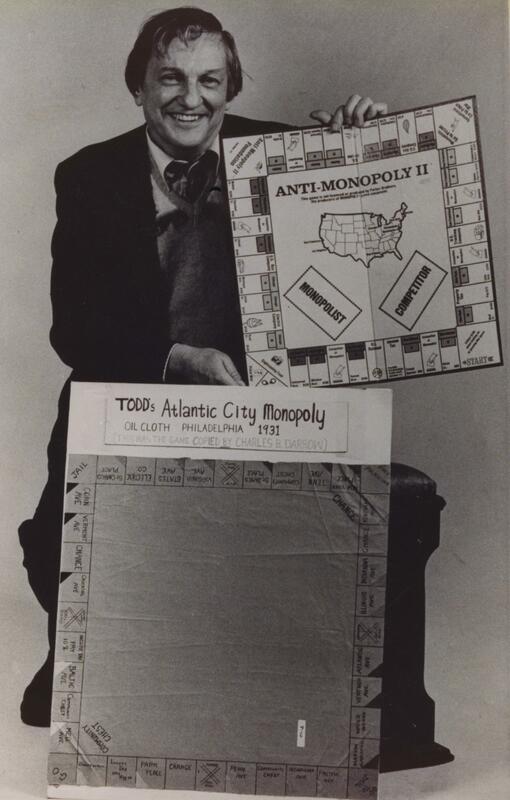 It's called "The Monopolists: Obsession, Fury And The Scandal Behind The World's Favorite Board Game." THE DRIFTERS: (Singing) Under the boardwalk, boardwalk. From the park, you hear the happy sound of a carousel. GREENE: It's MORNING EDITION from NPR News. I'm David Greene. THE DRIFTERS: (Singing) You can almost taste the hot dogs and French fries they sell. Under the boardwalk. Transcript provided by NPR, Copyright NPR.